After skipping the 2017 model year, the Audi S4 is back for 2018 primed and ready to continue the fight against other luxury sports sedans. With its new 354-hp turbocharged V-6 engine and capable MLB platform, the new S4 significantly ups its performance game, although we're still bummed about the cancellation of the manual-transmission version. 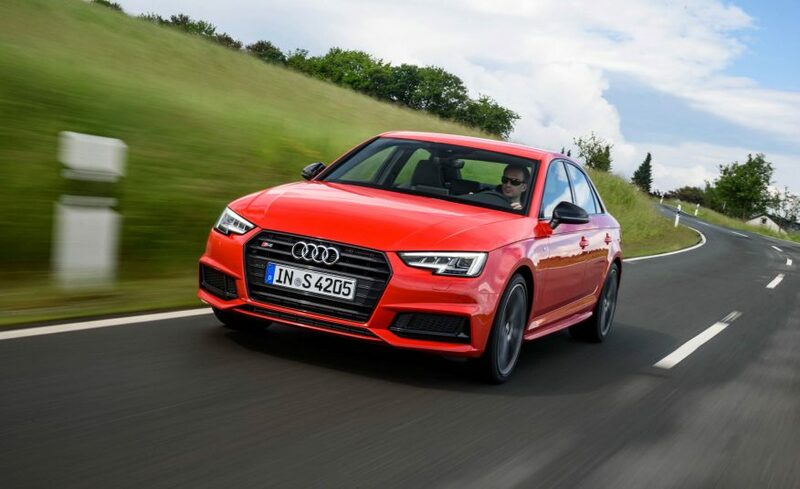 The new S4 already is on sale in Europe, and we now know it will arrive at dealerships in the United States this spring at a starting price of $51,875, a $1750 uptick from the outgoing car with its standard six-speed manual. Two trim levels are available: Premium Plus and Prestige, the latter of which adds $4900 to the bottom line. If it were our car, we might stick with the Premium Plus, given that it comes well equipped, including heated and massaging front seats, three-zone automatic climate control, and LED head- and taillights. Audi's Virtual Cockpit Display is on the option list along with active safety features such as adaptive cruise control and blind-spot warning. The turbocharged 3.0-liter V-6, an eight-speed automatic transmission, and Quattro all-wheel drive come standard with every S4. Adaptive dampers are part of a Sport package, and variable-ratio steering and a torque-vectoring rear differential are available as well. The base wheel-and-tire setup encompasses 18-inch wheels wrapped in summer rubber; all-seasons are optional, while a larger setup with 19-inch wheels and summer tires is available, too. The S4's base price puts it in the mix with its most obvious German competitors, the $50,895 BMW 340i xDrive and the $52,925 Mercedes-AMG C43 4MATIC. Audi claims a "class leading" zero-to-60-mph time of 4.4 seconds for the S4; we look forward to strapping our test equipment to one to get our own number soon.